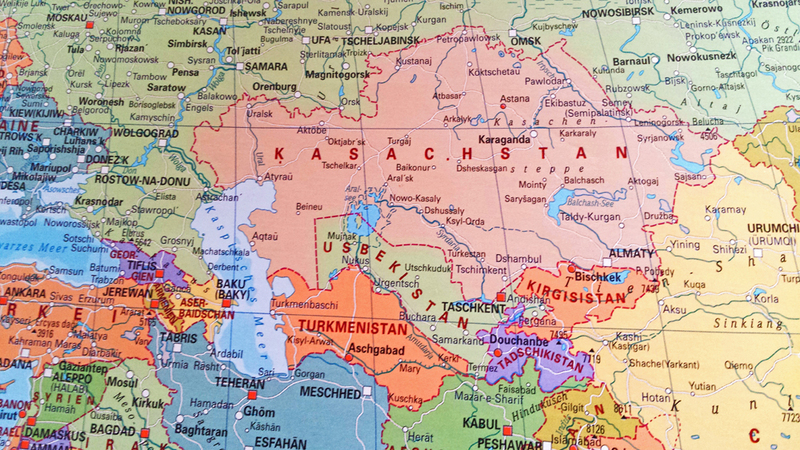 Kazakhstan, Kyrgyzstan and Tajikistan are still considered an insider tip among travellers. Together with Uzbekistan and Turkmenistan, these three countries form the Central Asia region, bordered by China to the west, Afghanistan and Iran to the south, the Caspian Sea to the east, and Russia to the northeast and east. 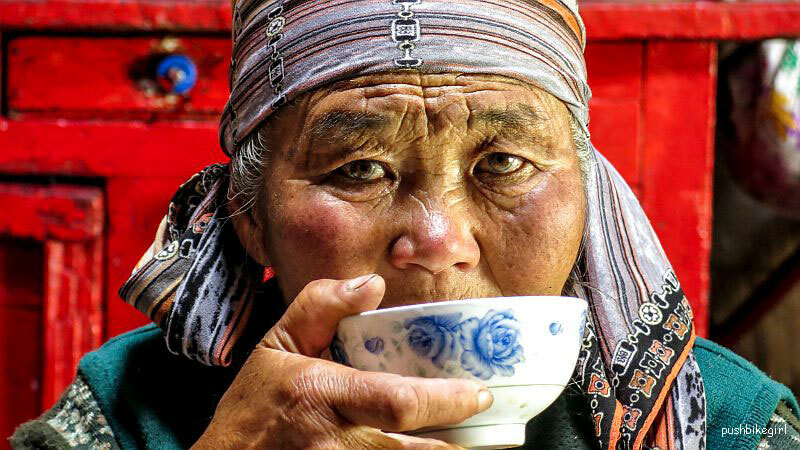 In this article travel bloggers from around the world reveal their tips for Kazakhstan, Kyrgyzstan and Tajikistan. Since traveling along the Chinese Silk Road from Beijing to Kashgar, 4000 kilometers over land, in October 2014, I wanted to continue my journey along the historic trade route through Central Asia. In July 2016, I visited Uzbekistan and explored Tashkent, Samarkand, Nurata, Lake Aydar Kŭl and a yurt camp in the Kysylkum desert, Bukhara and Khiva. Already then, I wanted to see more of the region. Now, I am in Almaty, the former capital of Kazakhstan in the south of the country, where my journey through Kazakhstan, Kyrgyzstan and Tajikistan begins. When I was travelling on the Trans-Siberian Railway from Europe to Mongolia, I planned a trip to Kazakhstan on my route. Here, I wanted to get to know the northern part of the country, especially the capital Astana, a little closer. Before my visit, I had no expectations of Kazakhstan and could not imagine much of the country. Accordingly, I was all the more impressed and excited by Astana. I had expected a lot – but certainly not a modern city full of futuristic buildings! I found it incredibly interesting to explore Astana. Furthermore, I have encountered few or almost no other tourists here. 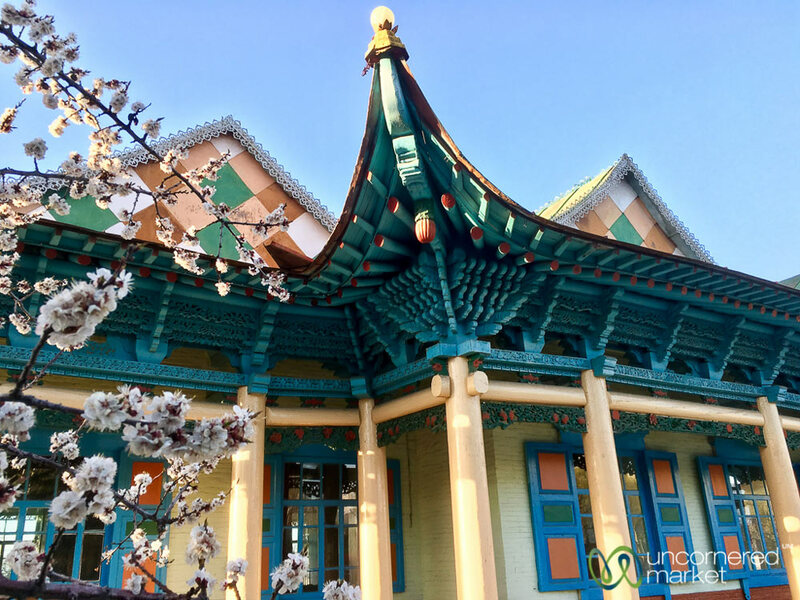 Most travellers in Kazakhstan tend to focus on the southern part around Almaty – a detour to the north is a bit of a hassle as the country is huge. 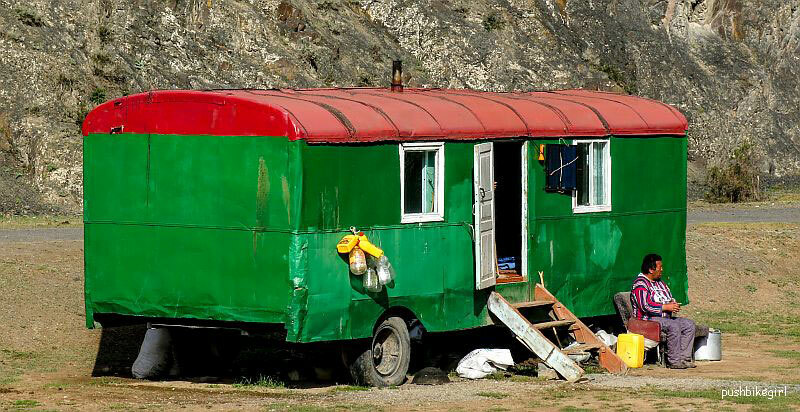 Nevertheless, my tip for Kazakhstan, Astana should definitely be on the itinerary. The city is absolutely unique to me and definitely worth a visit! Patrick Muntzinger blogs on German Backpacker. Follow him on Facebook, Twitter, Instagram andPinterest. I had planned a lot for Kazakhstan, unfortunately, only a quarter of that didn’t work out because I had a horrible guide. Therefore, I can only advise you: if you decide to book a guide, take someone from a well-known organization. My guide was a hearsay recommendation, an extremely right patriot, terrible. In principle, a guide is useful, because English is hardly spoken. Even with Russian language skills, it can be difficult in parts of the country. There is magnificent nature in the southeast of the country, e.g. the Charyn National Park. Unfortunately, I could only see a tiny part of it because the worst thunderstorm of the decade was raging. The people are extremely hospitable. You should be a bit cautious to address the history of the country because here it depends very much on the personal background of your counterpart. 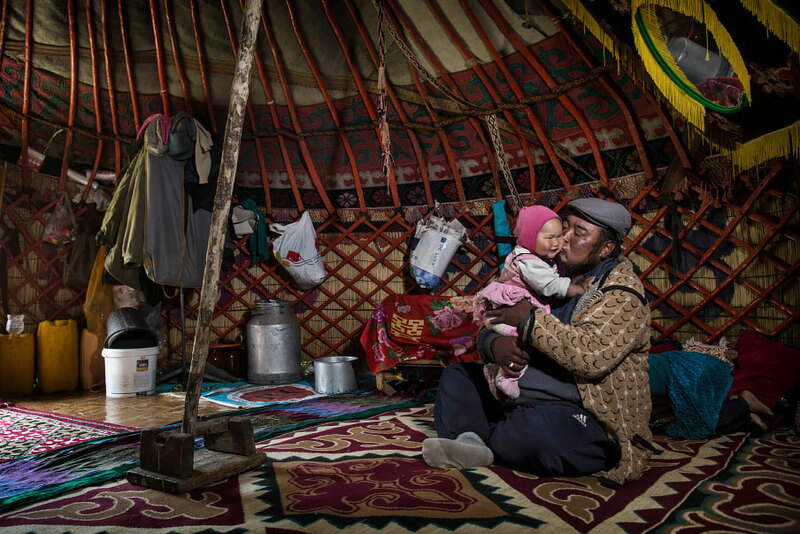 Even today, the people of the Kazakhs are distinguished from those who live as Russians in today’s Kazakhstan. In addition, there are many conflicts within different ethnic groups and people from neighboring countries coming to Kazakhstan for work. Since Kazakhstan is mainly a Muslim country, your clothing should usually cover shoulders and legs. For the visit of many buildings, you will need a headscarf but this may be worn very casually. My favorite place that I would like to recommend to you is the Khoja Ahmed Yasawi mausoleum in Turkestan. This fantastic building was almost the experimental piece of the great Amir Timur for his later works in today’s famous Samarkand in Uzbekistan. Inka Chall is the author of Blickgewinkelt. Follow her on Facebook, Twitter, Instagram, Pinterest, Google+ and Youtube. When I told people that I was going to Kazakhstan, I received very surprised reactions and people asked me why I wanted to go there. I wasn’t sure what to expect either, but after my trip I was surprised myself that so little people know about this vast, but beautiful country that has so much to offer. Great food, friendly people, a fascinating history with old buildings from the Silk Road and Soviet architecture, incredible mountain sceneries and the futuristic capital of Astana. Here is some advice for those considering a trip to Kazakhstan. It is the world 9th biggest country and the best way to travel the huge distances between the cities is by train. I loved Almaty and for me, this city is the heart of Kazakhstan more so than its futuristic capital Astana. Make sure you take enough time for Almaty so that you can explore the wild side of Kazakhstan and take some trips to the Charyn Canyon, the Kolsai Lakes and big Almaty Lake high up in the mountains. 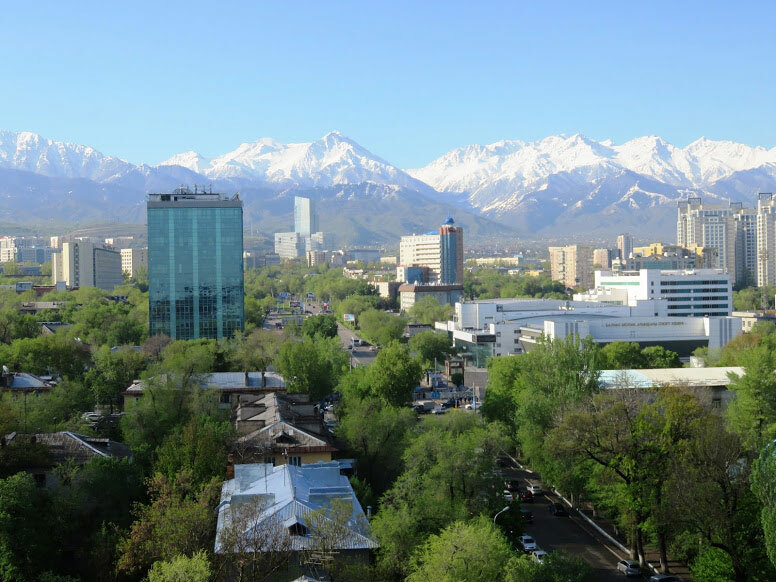 If you like the outdoors, Almaty is the place to be. 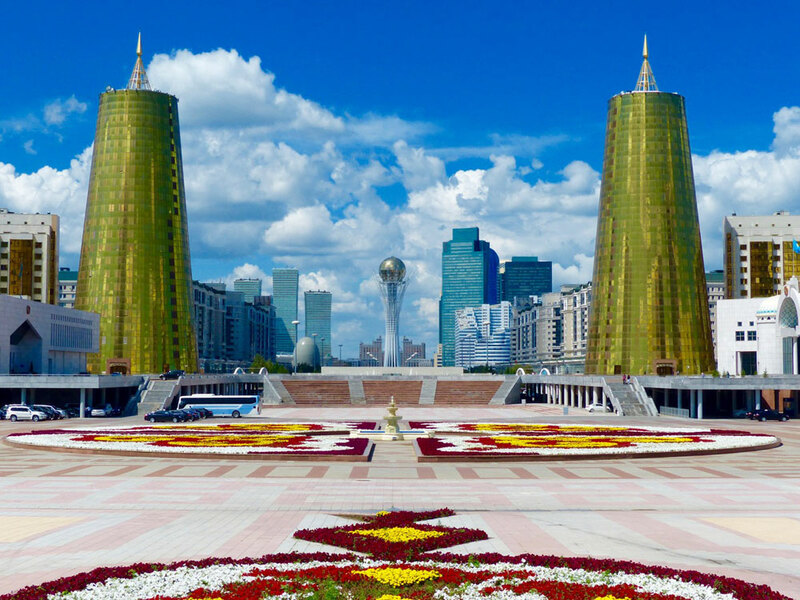 If you love history then visit the old silk road city of Turkestan and if you want to understand more about the current politics of the country, a visit to the strange capital of Astana gives you an interesting insight into modern Kazakhstan. Ellis Veen is the founder of Backpack Adventures. Follow her also on Instagram, Twitter and Pinterest. Above all, Kyrgyzstan impresses with endless expanses and fascinating mountains. Rain gear and warm clothing should therefore not be missing in any luggage. Not to be missed is Songköl, a mountain lake at an altitude of 3000 metres, which is surrounded by snow-capped peaks. In the summer, shepherds populate the pastures and spend the night in their yurts along the lake. Yurts for tourists are also available for overnight stays. Keep an eye out for cemeteries, which are often very picturesque on mountain slopes. The graves themselves are often lovingly constructed works of art, which one would not expect in such a rough mountain world. Take your time. Bad roads and the many corners reduce the pace very much. You will take longer for the long distances than you had previously planned. On the weekends, some people drink a lot. Be careful when you go out in the evenings or when you walk around alone. Sometimes it’s also a bit wilder on the streets. Laghman is the Kyrgyz national dish, homemade noodles with lamb and vegetables. Very delicious. The stuffed Samsa, dumplings, which you can often buy at street stalls, are also tasty. However, the rock-hard cheese balls were too salty, in my opinion. The mare’s milk, which you can get from the shepherds in the mountains is certainly not for everyone. 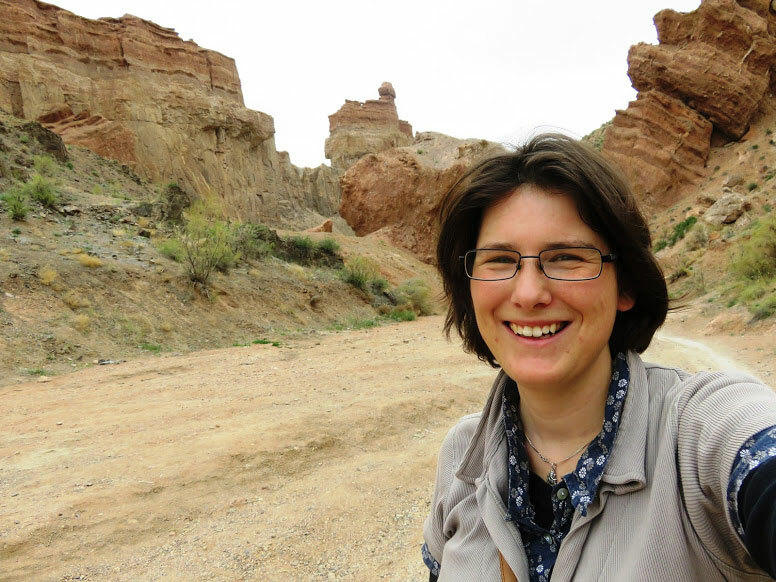 Heike Pirngruber is a bicycle world traveler and blogs on Pushbikegirl. Follow her on Facebook, Twitter and Instagram. Kyrgyzstan has been one of our favorite countries since we first visited eleven years ago and we’ve been fortunate to return about seven times since then. 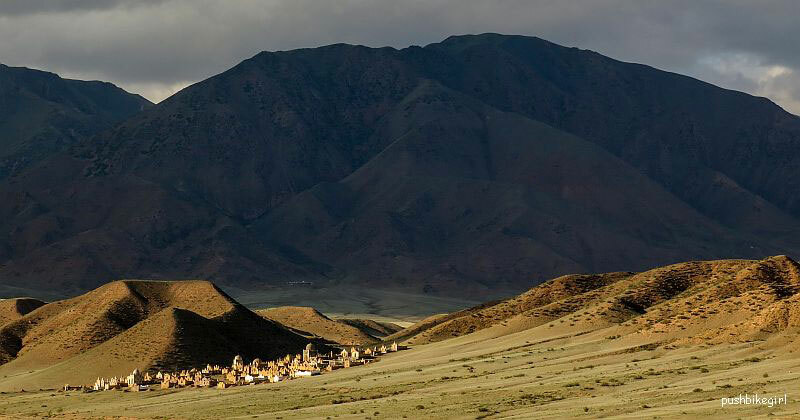 What makes it such a special place is the combination of its stunning mountain landscapes and its warm nomadic culture and people. With over 90% of the country covered in mountains, Kyrgyzstan is an ideal destinations for trekkers or outdoor lovers. Over 2,500 km of new trekking routes were marked in the last year, so even more trails and opportunities are available for trekkers now. 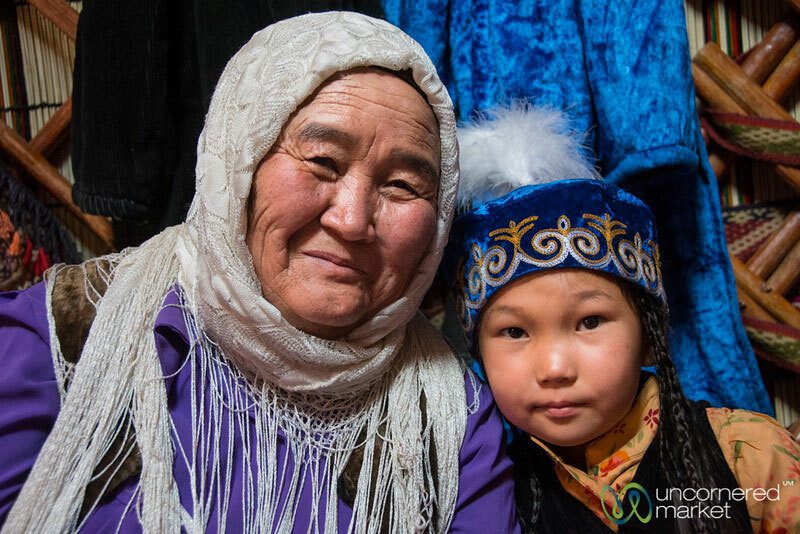 In addition, Kyrgyz people are incredibly hospitable and still maintain a lot of of their traditional nomadic culture. For example, in the summer months you’ll find shepherds and their families living in yurts in the mountains as their animals graze on high pastures. So don’t be surprised if you get invited into one of these yurts for tea and home-made bread when you’re hiking through the mountains. 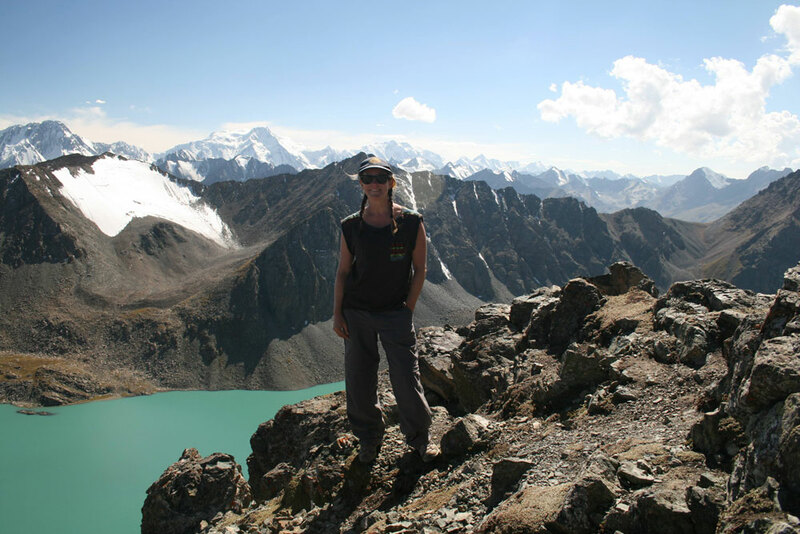 As for recommendations for where to go in Kyrgyzstan, we are big fans of trekking in the Alay Mountains in the south or in Jyrgalan Valley in the east. The cities that serve as the gateway to these mountains – Karakol and Osh – each has a diverse history and strong — but very different from each other — culinary tradition that you can now explore through foodie-related tours. To immerse yourself in nomadic culture, spend a few days at a yurt camp along the South Shore of Lake Issyk-Kul. Even better, time your visit with one of their traditional festivals for a mini version of the World Nomad Games. Audrey Scott and Daniel Noll are the authors of Unconcered Market. Follow them on Facebook, Twitter, Instagram, Pinterest, Youtube and Google+. 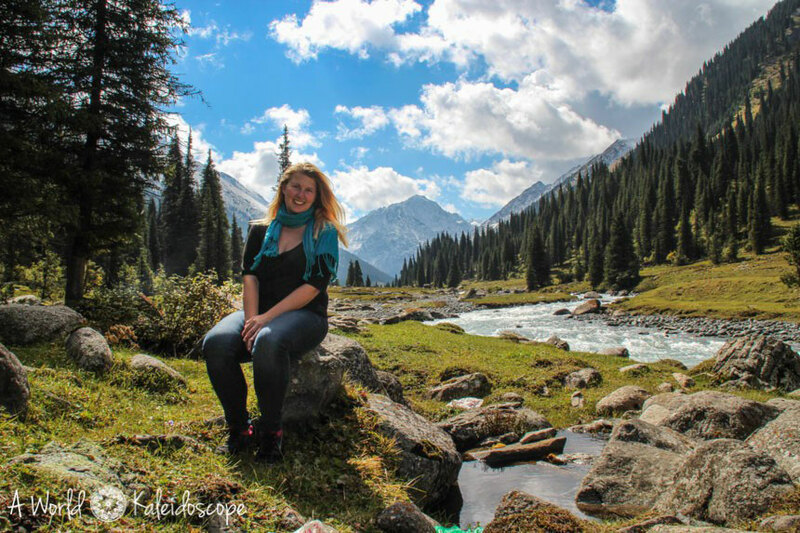 My number one tip for travelling to Kyrgyzstan is to bring your sense of adventure! This small Central Asian country is full of unusual and incredible experiences. The country is 94% mountains and the hiking here is phenomenal. My favourite adventure was my four day hike to the stunning Lake Ala-Kol. 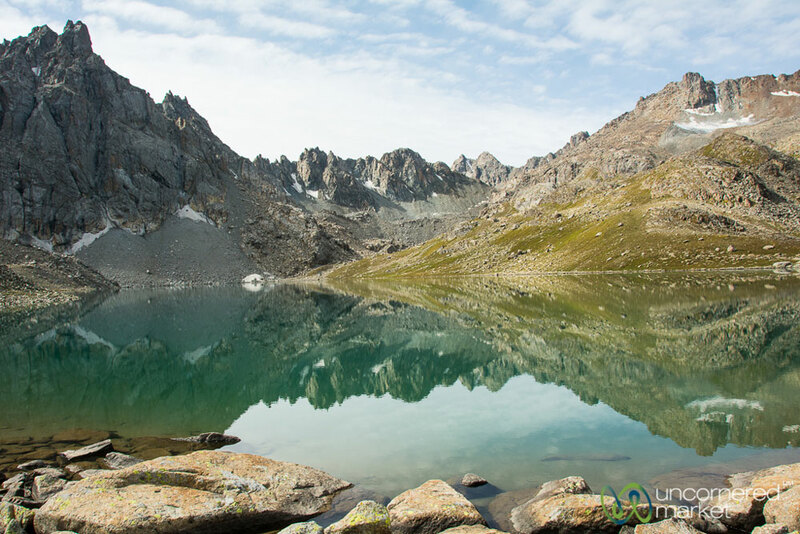 The hike takes you past wild horses grazing beside streams, up through forests and culminates at the brilliant turquoise Lake Ala-Kol with snow-capped mountains ranging far into the distance. Amazing! 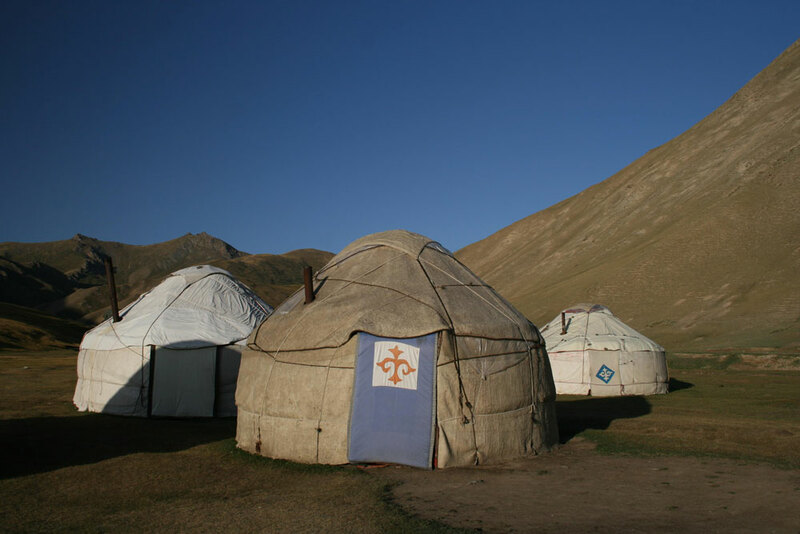 Another quintessential Kyrgyzstan experience is yurt-stays. 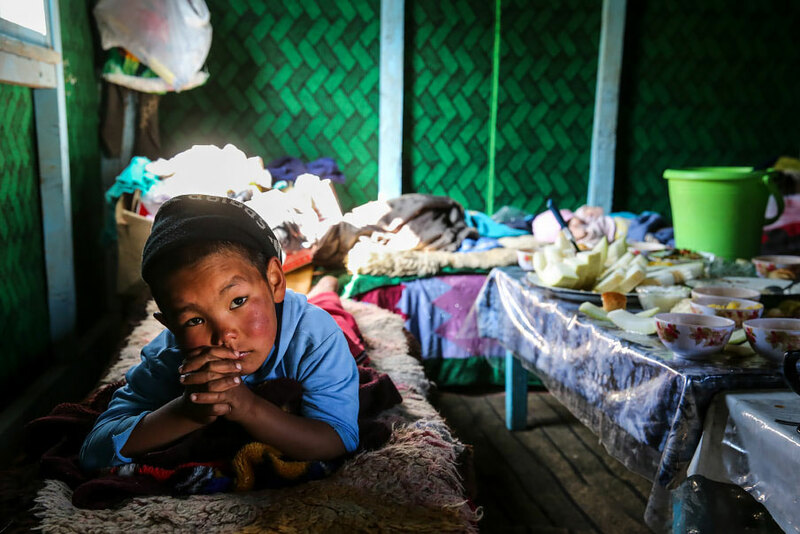 Despite years of soviet collectivisation and modernisation the remnants of a nomadic culture remains in Kyrgyzstan. 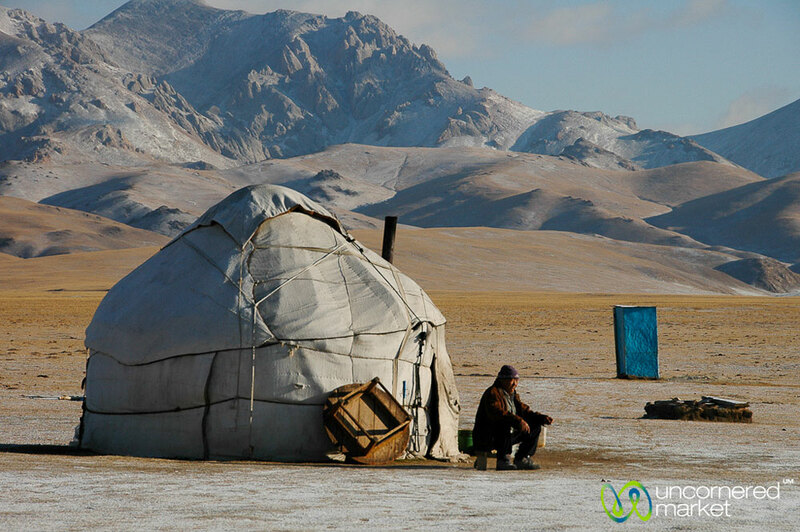 This nomadic culture can still be experienced as a visitor today by staying in a yurt, a traditional portable dwelling of the nomads made of felt. My first yurt stay was near the caravanserai Tash Rabat and I also had a wild stormy yurt-stay on the shores of beautiful Lake Song-Kol. 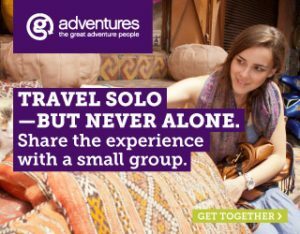 Shared-taxi adventures and homestays with friendly locals where you can eat traditional home-cooking also make for unique adventures. Carly Robinson blogs at Carly’s Adventures Afar. Follow her on Facebook and Instagram. 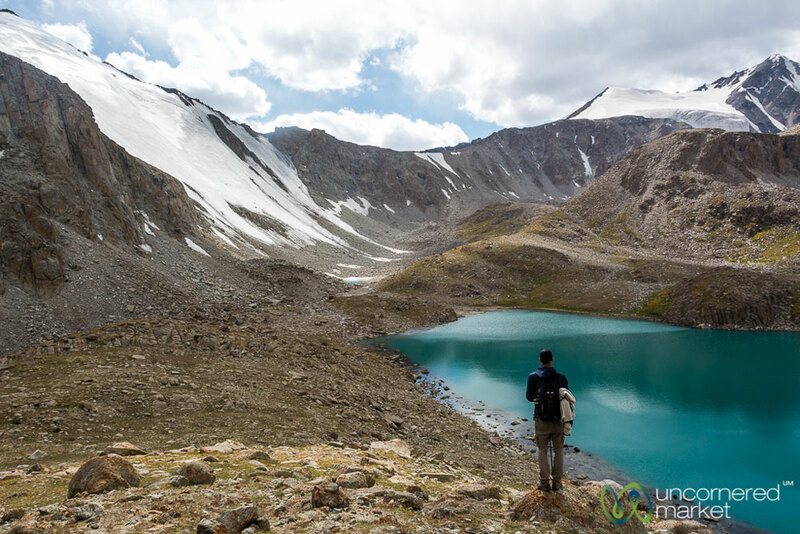 Kyrgyzstan is an absolute dream destination for backpackers and outdoor enthusiasts. The country still has a pristine charm, yet is easy to travel and has absolutely overwhelming landscapes to offer. Near Karakol I would recommend the five-hour hike to Altyn Arashan Valley. Also for me, as a solo traveler and trekking beginner the tour was well feasible. At the top, at a height of 3000 meters, there are rustic huts, hot springs and unbelievably stunning views of the Tian Shan mountains. However, the undisputed highlight of my Kyrgyzstan trip was the overnight stay in a yurt at Lake Song Kul. The journey through the mountains alone, past grazing yaks and horses, was absolutely spectacular. 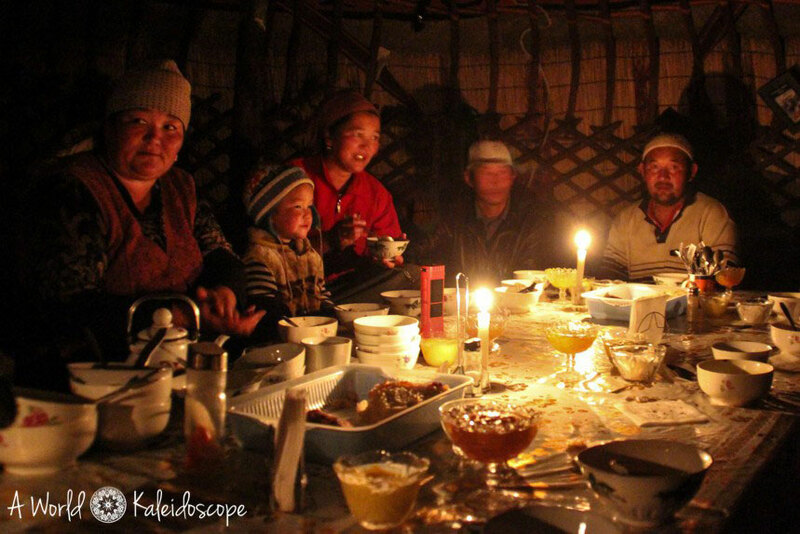 The dinner by candlelight together with the nomadic host family and subsequent star gazing in the freezing cold are among my most beautiful travel memories. More tips can be found in my detailed backpacking guide for Kyrgyzstan. Stefanie Schwarz is the author of A World Kaleidoscope. Follow her on Facebook, Twitter, Pinterest and Instagram. The Pamir Highway and thus, the countries of Tajikistan and Kyrgyzstan are destinations away from the masses. Despite the great hospitality in both countries, the Stan states in Central Asia are relatively undeveloped for tourism, Tajikistan even more than Kyrgyzstan. For cost reasons alone, you should start in Bishkek and not in Dushanbe. Flights to the capital Dushanbe are usually considerably more expensive than those to Bishkek or Almaty. So if you want to combine several countries of Central Asia, it is better served with a flight to one of the neighboring countries Kyrgyzstan (Bishkek) or Kazakhstan (Almaty). Along the Pamir Highway, there are no buses but only Marschrutkas – shared taxis -, on this route actually always appear in the form of a jeep to defy the bad road conditions. You pay per seat, the luggage is stretched on the roof and when all seats are occupied, the journey starts. 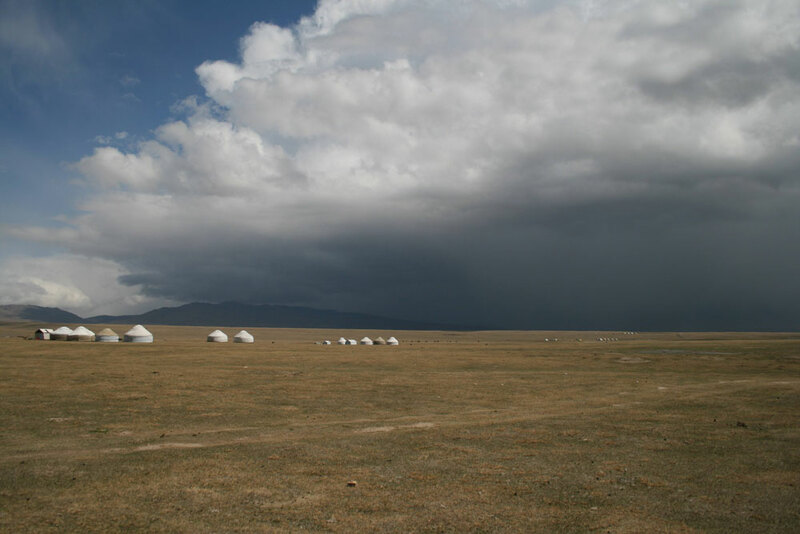 On the section between Osh and Sary Tasch, several yurts and caravans line the pastures along the Pamir Highway. If you have the opportunity, you should definitely stop here, take a heart and pay the families a visit. The hospitality meets travellers and ensures an unforgettable experience. 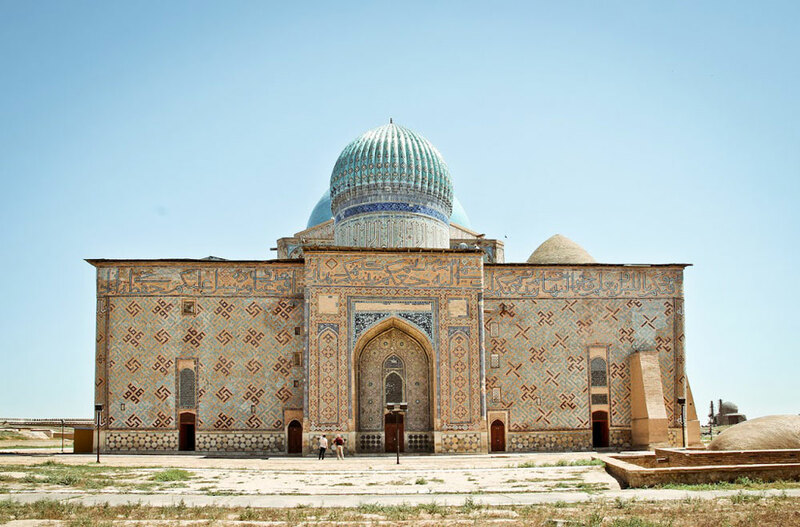 Priska Seisenbacher and Andreas Schörghuber tell you more about itineraries and travel information about Uzbekistan, Tajikistan & Co. on their website IN EXTENSO Reisefotografie. Follow them on Facebook and Instagram. If you’re a nature-lover but also a history buff, then Tajikistan is for you. A small country with a population of 9 million has a lot to offer than meets the eye. The capital city, Dushanbe, a progressive metropolitan city, was the sort of city I could see myself living in for the rest of my life, with my super hot Tajik man. 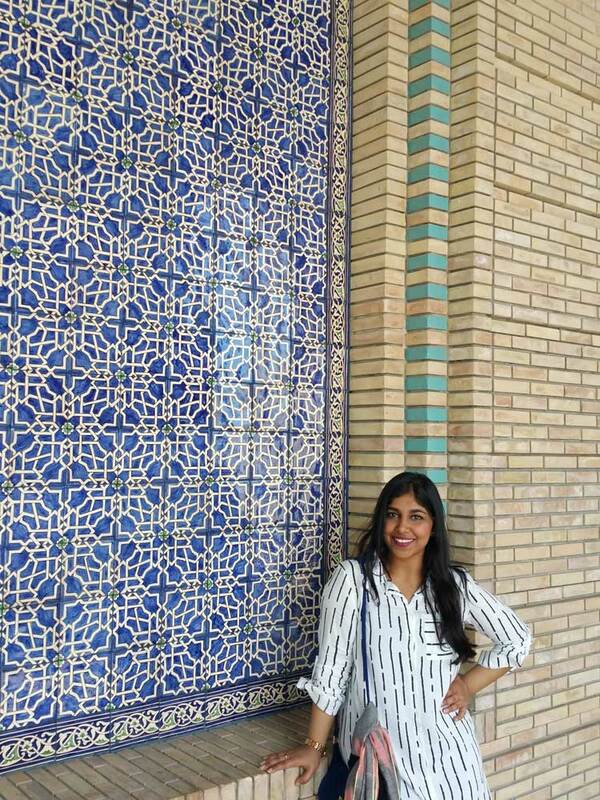 The beautiful architecture that shows an influence from Iran with the Kashani tiles, with the juxtaposition of communist influence in the country is sure to ignite an interest in anyone let alone a history lover. The Hisor Fortress tells a tale of a time dated back to Cyrus the Great, and has been claimed to have been captured twenty-one times. It is definitely a sight to see, and an amazing experience to climb the hills and see the view from the top. The beauty of this country lies in the hospitability of her people. 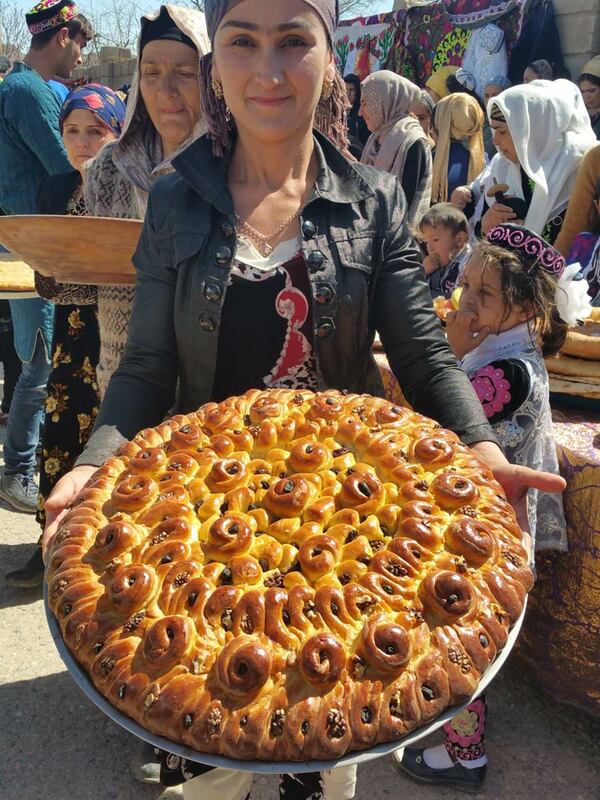 Tajiks will never let you leave their home without having fed you amazing breads and the most delicious khom shorba (clear soup). Two weeks in Tajikistan felt like home that I never wanted to leave. Filza Nasir is a traveller and fell in love with Tajikistan. I will spend three days alone in Almaty, before I meet my local guide from one of the Central Asian states and my 15 fellow travellers from different countries in the Kazakh capital. With them, I will drive to Sharyn Canyon in the south of the country. From there, we will cross the border to Kyrgyzstan. There we will travel to Karakol, Kochor, Song Kul Lake, the valley of Chong-Kemin and the Kyrgyz capital Bishkek. Then, we will cross the Uzbek border and continue onto Tashkent where my tour ends. I know the Uzbek capital already from my previous journey through Uzbekistan in July 2016. I will spend a day alone in Almaty before I will return home on September 25. Unfortunately, I couldn’t attend the World Nomad Games this year which took place from September 1 to September to September 9 because I couldn’t travel at that time. I will also not travel along the Pamir Highway which is dream route of mine. But I plan to travel along the Pamir Highway sometime in the next few years, maybe in 2020 when the next World Nomad Games take place. Did you like this post? Then, consider to leave a comment below. If you want to follow me on my journey through Kazakhstan, Kyrgyzstan and Tajikistan or virtually on my travels in general, subscribe to my RSS-Feed or follow me on Facebook, Twitter, Instagram or Google+. ‘Nice one Vanessa. I can’t wait to visit the region for myself. Thanks for sharing blogger tips! Victoria@TheBritishBerliner recently posted…Explore Hansa with me! 5 enchanting Hanseatic cities from Sweden, Estonia and Latvia! Thank you so much for the kind words, Victoria. I highly recommend travelling to and through Kazakhstan, Kyrgyzstan and Tajikistan. The region is really worth a visit.